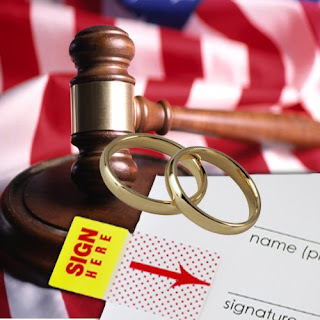 Obtaining A California Marriage License with new 2009 last name change requirements - The Clergy Network - Ask Dr. Linda & The Name Change Kit For Brides By The Wedding Helpers. With the enactment of the 2007 Name Change Act, marriage license issuance and bride or groom last name change declaration is linked. In fact, the groom or the bride may declare a new last name under California law - a privilege, not offered to the groom at marriage license issuance before this year. Take a few minutes to review the included video for details on, just some, of the new marriage license requirements and groom last name change options available in California as of 2009. The video is helpful for the newly engaged California bride and groom or the about to be married Southern California wedding couple. For more informational details contact info@theclergynetwork.com or info@thenamechangekit.com. The Clergy Network - A Southern California Wedding Clergy, Wedding Officiator & Wedding Celebrant Group is a proud member of Orange County Wedding Planning and Event Center. http://www.theclergynetwork.com/ We are the only professional wedding clergy and wedding officiator or wedding celebrant network in Southern California. A TCN officiator professional membership is not based upon commission or advertising fees, but friendship, experience, good reputation and earned academic degrees with internships in the Life Celebrations field. An Internet wedding clergy or wedding officiant directory is not a professional membership, but a paid advertising space.